​​A perfect size to place beside couches or chairs. Use them as tables or small seats by a door to put your shoes on. Just the right size for plants by a window. You decide. We build it for you. ​All Yellow Dog Furniture is built by one person, Joe. 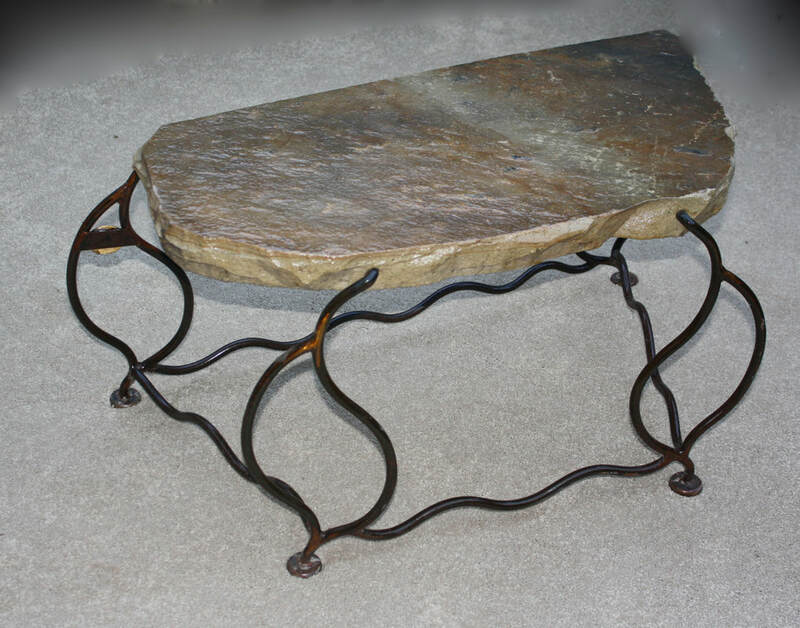 Each piece is original, one-of-a-kind using Alabama Sandstone, quarried in Oneonta. All our steel is domestic....made in the US. Colors range from the blue-grays to deep rich browns. The pictures below are samples of what can be made for you. We can never reproduce a picture exactly as stone colors will change due to where digging is taking place at the quarry. Sometimes blues are unearthed and sometimes the greatest browns show up. 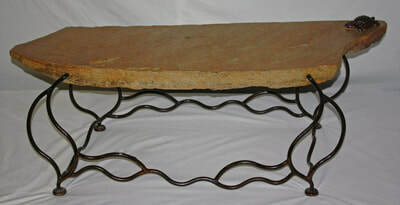 When you contact us to have a table built, you will be sent pictures of some stone pieces. Each picture will have a number. Take a look at them and if you like one, let us know which one you like. The pictures sent show the stones only wet with water. They have not been power washed nor final coated so they aren't going to pop quite as much as the finished product. The water just gives you a better idea of what they will look like when completed. Once you decide you like a stone we will ask for a deposit of 25% to get it into the work production schedule. 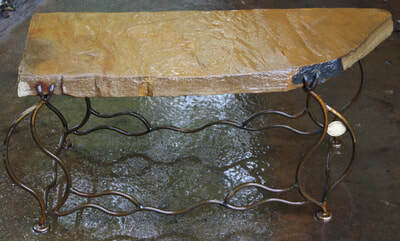 Unfortunately, sometimes the stone will develop a crack or will actually break a piece off. While uncommon, it does happen. And if it does, that means that piece for your bench is now probably 2 table size pieces. So the hunt will begin again for a piece of stone for you. If it is going to crack or break, it will be while it is bounced around on the work table, hit with a chisel, drilled and welded. We don’t look for issues, but want you to be aware of them and of course, if an issue arises, we would let you know right away. 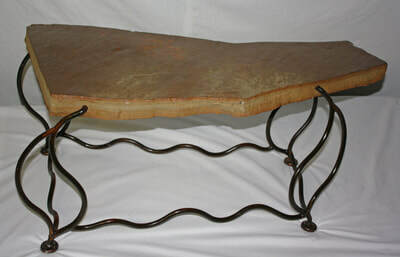 ​Tables range from 12" x 16", 16" x 20", 20" x 24"